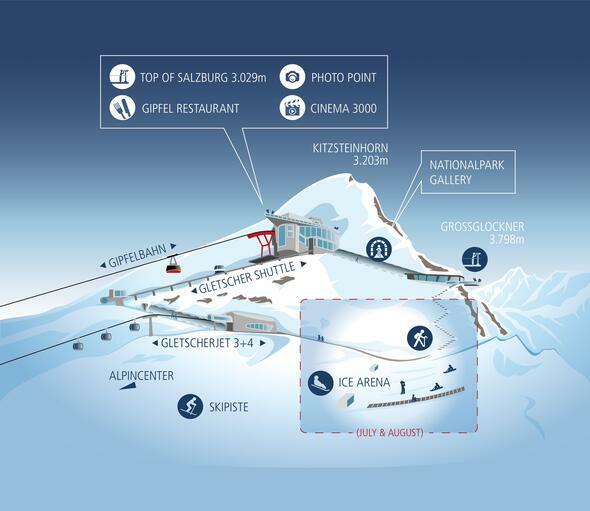 Those in love, romantics and connoisseurs enjoy a special Valentine’s breakfast in the Kitzsteinhorn Gipfel Restaurant at 3.029 metres until 11.00 am on February 14th. Copyright © 2019 Gletscherbahnen Kaprun AG. All rights reserved. No huts open at the moment.